Told and retold in the Ramayana, the Mahabharata and several Puranas, the story begins with a sage, Kapila, whose intense meditation has been disturbed by the sixty thousand sons of King Sagara. Livid at being disturbed, Kapila sears them with his angry gaze, reduces them to ashes, and dispatches them to the netherworld. Only the waters of the Ganga, then in heaven, can bring the dead sons their salvation. 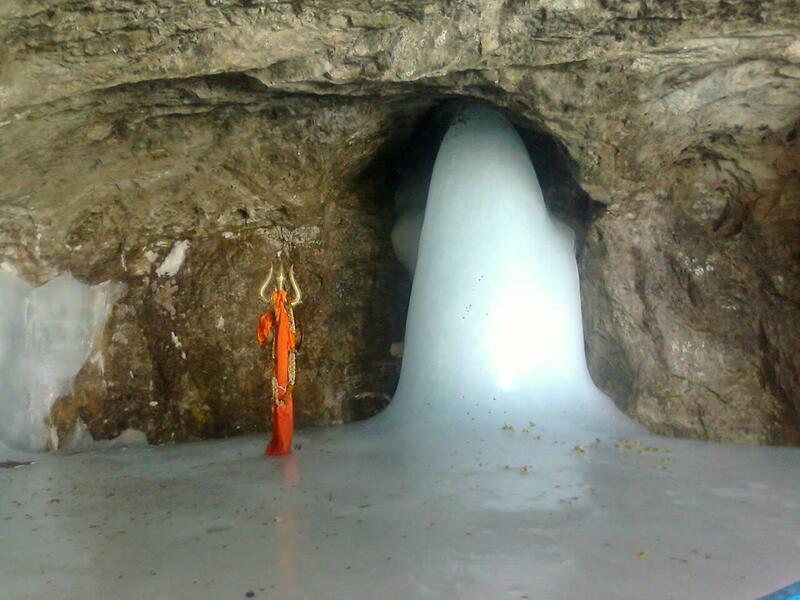 A descendant of these sons, King Bhagiratha, anxious to restore his ancestors, undertakes rigorous penance and is eventually granted the prize of Ganga's descent from heaven. Puri Shree Jagannath Temple The deities of the Puri temple are generally known as the Trimurti (trinity) and also as Chaturdhamurti. 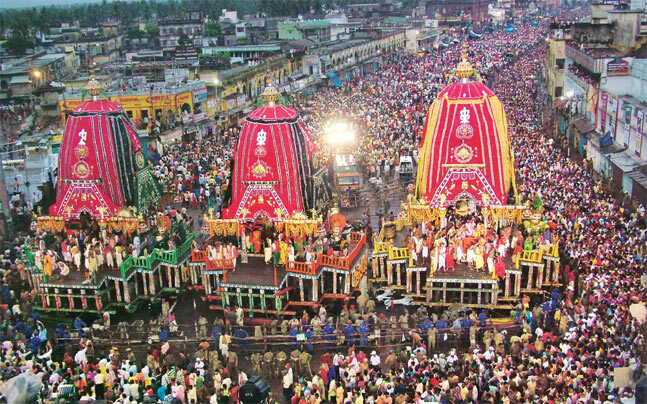 Some scholars think that originally there was only image of Jagannatha as the object of worship called Nila Madhava and when Nila Madhava disappeared, king Indradyumna fabricated the body of Jagannatha out of a log of wood that was picked up from the sea, as per a divine direction. 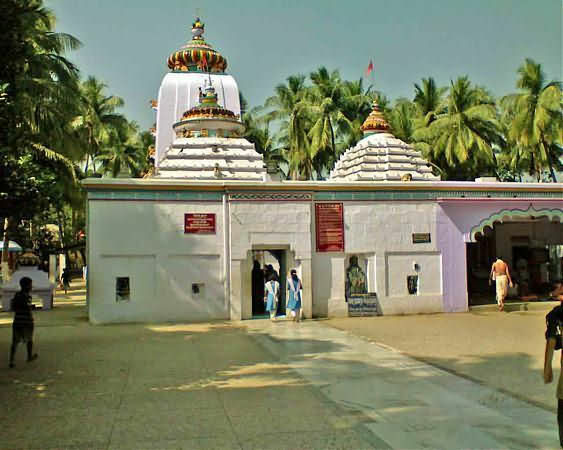 Lingaraj Temple is a Hindu temple dedicated to Harihara, a form of Shivaand is one of the oldest temples in Bhubaneswar, the capital of the East Indian state of Odisha (formerly Orissa). 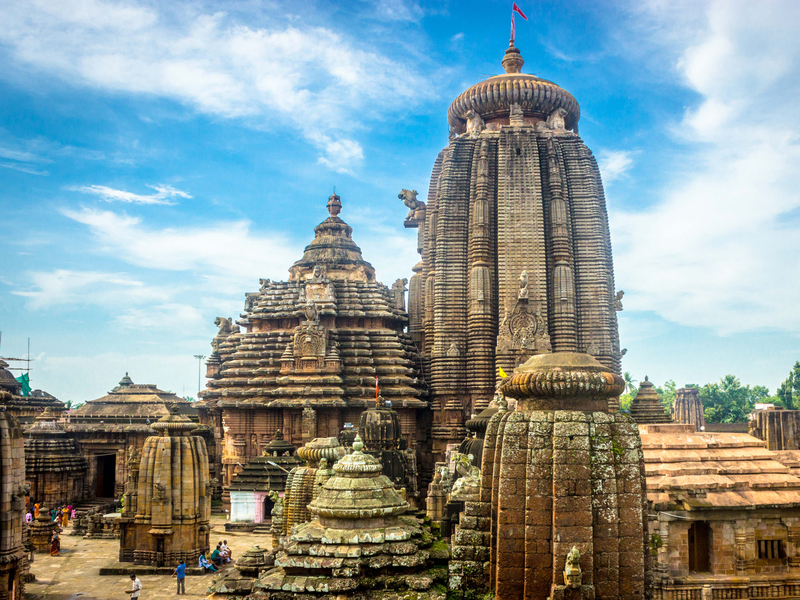 The temple is the most prominent landmark of the Bhubaneswar city and one of the major tourist attractions of the state.The Lingaraja temple is the largest temple in Bhubaneswar. The central tower of the temple is 180 ft (55 m) tall. The temple represents the quintessence of the Kalinga Architecture and culminating the medieval stages of the architectural tradition at Bhubaneswar. 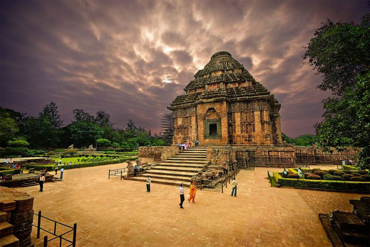 Konark is a small town in the Puri district in the state of Odisha, India. 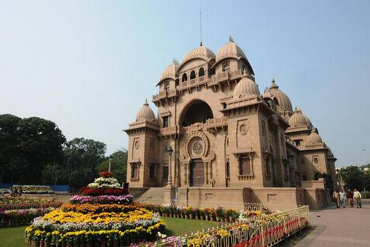 It lies on the coast by the Bay of Bengal, 65 kilometers from the capital of the state, Bhubaneswar. It is the site of the 13th-century Sun Temple, also known as the Black Pagoda, built in black granite during the reign of Narasimhadeva-I.the temple is now mostly in ruins, and a collection of its sculptures is housed in the Sun Temple Museum, which is run by the Archaeological Survey of India. On 16 February 1980, Konark lay directly in the path of a total solar eclipse. The Biraja Temple, or Girija Kshetra is an historic Hindu templeslocated in Jajpur (about 125 kilometres (78 mi) north of Bhubaneswar), Odisha, India. The present temple was built during the 13th century. The principal idol is Devi Durga, who is worshiped as Viraja (Girija), and the temple gave Jajpur the nicknames "Viraja Kshetra" and "Biraja Peetha". The Durga idol has two hands (dwibhuja), spearing the chest of Mahishasurawith one hand and pulling his tail with the other. One of her feet is on a lion, and the other is on Mahishasura's chest. Mahishasura is depicted as a water buffalo. The idol's crown featuresGanesha, a crescent moon and a lingam. Kalighat is regarded as one of the 51 Shakti Peethas of India, where the various parts of Sati's body are said to have fallen, in the course of Shiva's Rudra Tandava. Kalighat represents the site where the toes of the right foot of Dakshayani or Sati fell. 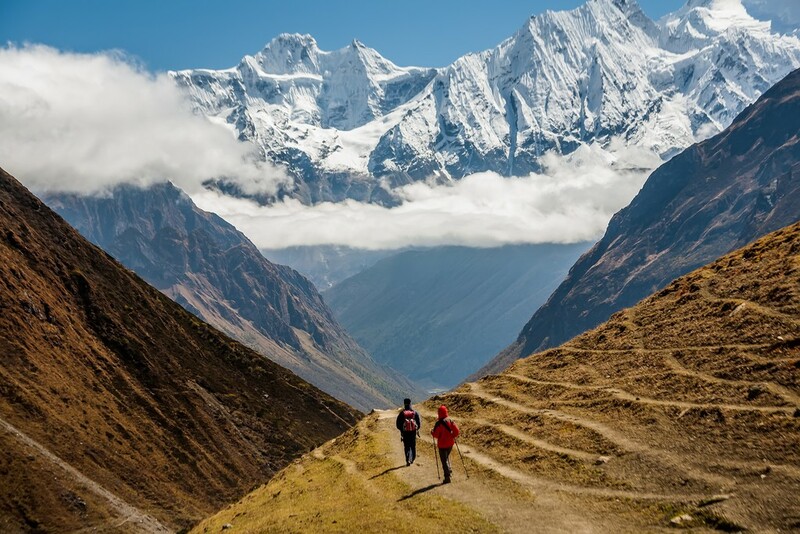 Legend has it that a devotee discovered a luminant ray of light coming from the Bhagirathi river bed, and upon investigating its source came upon a piece of stone carved in the form of a human toe. He also found a Svayambhu Lingam of Nakuleshwar Bhairav nearby, and started worshiping Kaali in the midst of a thick jungle. Mayapur is located on the banks of the Ganges river, at the point of its confluence with theJalangi, near Navadvip, West Bengal, India, 130 km north of Kolkata (Calcutta). 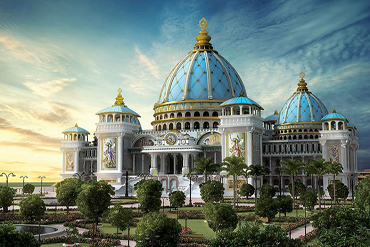 The headquarters of ISKCON are situated in Mayapur and it is considered a holy place by a number of other traditions within Hinduism, but is of special significance to followers of Gaudiya Vaishnavism as the birthplace of Chaitanya Mahaprabhu, regarded as a special incarnation ofKrishna in the mood of Radha. It is visited by over a million pilgrims annually. Guwahati( Pragjyotishpura in ancient Assam, Gauhati in the modern era )” is an ancient urban area, largest city of state, and one of the fastest developing cities of India.Pragjyotishpura along with Durjaya (North Guwahati) were the capital of the ancient state of Kamarupa under Varman's and Pala's. Dispur, the capital of the Indian state of Assam, is in the circuit city region located within Guwahati and is the seat of the Government of Assam.The city is between the banks of the Brahmaputra river and the foothills of the Shillong plateau, with LGB International Airport to the west and the town of Narengi to the east. 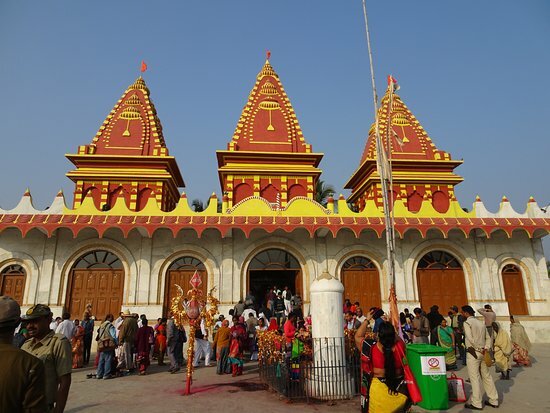 Kapil Muni Temple is situated at Sagar Island in West Bengal. 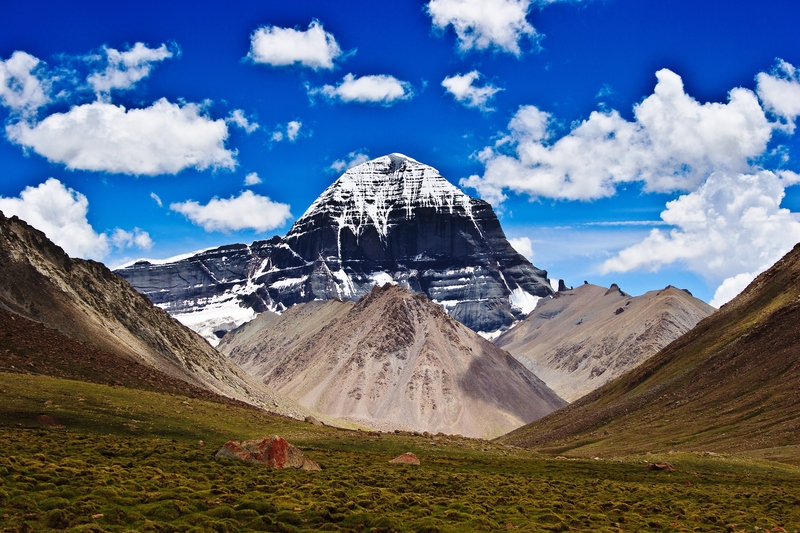 It is believed that the deity was installed in 1437 by Swami Ramanand. The current structure is a recent one and it has a stone block, considered to be the representation of Sage Kapil. The idol of the saint holds a small pot of water in his left hand and a rosary in the right. Images of Bhagirath, Ram and Sita can also be seen here. The annual Ganga Sagar Mela is celebrated on Makar Sankranti Day here. 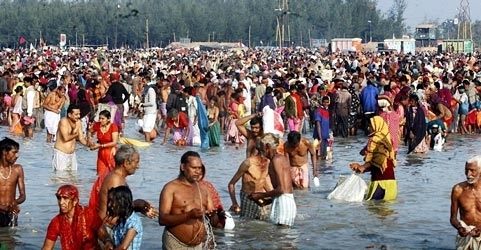 Pilgrims take a holy dip in the Ganges, before going to the temple. Sagar Island is 130 km from Kolkata. The great sage, Kapila Muni referred to in the legend is represented by a block of stone which is anointed and worshipped. 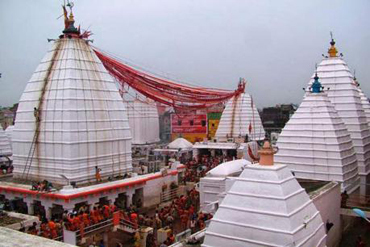 Baidyanath Jyotirlinga temple, also known as Baba dham and Baidyanath dham is one of the twelve Jyotirlingas, the most sacred abodes of Shiva. 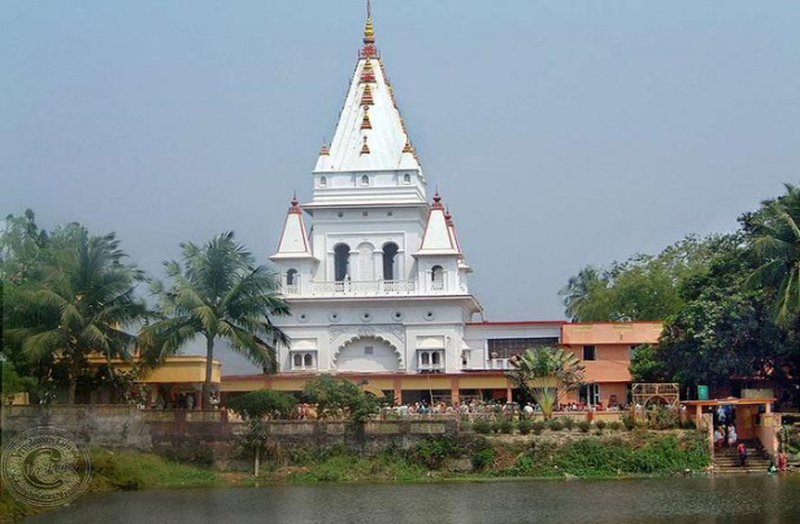 It is located in Deoghar in the Santhal Parganas division of thestate of Jharkhand, India. 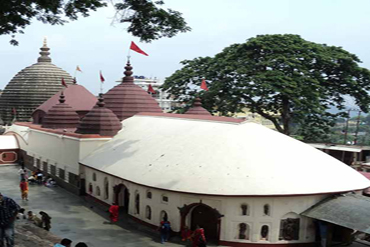 It is a temple complex consisting of the main temple of Baba Baidyanath, where the Jyotirlinga is installed, and 21 other temples.According to Hindu beliefs, the demon king Ravana worshipped Shiva at the current site of the temple to get the boons that he later used to wreak havoc in the world. Ravana offered his ten heads one after the another to Shiva as a sacrifice. Chaitanya Mahaprabhu 18 February 1486 – 14 June 1534) was a Vedic spiritual leader who founded Gaudiya Vaishnavism. Chaitanya was the proponent for the Vaishnava school of Bhakti yoga (meaning loving devotion to God), based on Bhagavata Purana and Bhagavad Gita. Of various incarnations of Vishnu, he is revered as Krishna, popularised the chanting of the Hare Krishna mantra and composed the Siksastakam (eight devotional prayers) in Sanskrit. His followers, Gaudiya Vaishnavas, revere him as a Krishna with the mood and complexion of his source of inspiration Radha. His birthday is celebrated as Gaura-purnima.